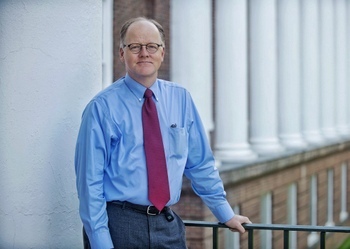 Robert Meyer, M.D., is the Director of the Virginia Center for Translational and Regulatory Sciences (VCTRS) and associate professor of Public Health Sciences. Through VCTRS, he is developing a regulatory science educational track, as well as provide regulatory and translational knowledge resources to University and external entities who seek to translate basic science discoveries to the bedside. Prior to joining the faculty, Dr. Meyer was Vice President, Global Regulatory Strategy, Policy and Safety at Merck Research Laboratories (MRL), where he was responsible for all regulatory strategy and operations, global regulatory policy and intelligence, as well as global product safety and pharmacovigilance. Externally, Dr. Meyer chaired the Regulatory Affairs Coordinating Committee for Pharmaceutical Research and Manufacturers of America (PhRMA) from 2012-13, and served as a key PhRMA negotiator on PDUFA V. Previously, Dr. Meyer worked for the U.S. Food and Drug Administration (FDA – 1994-2007). In his last 5 years at the FDA, Dr. Meyer was as the Director for the Office of Drug Evaluation II (ODEII) within Center for Drug Evaluation and Research (CDER), with responsibilities for pulmonary and allergy, metabolic and endocrine, and analgesics, anesthetics and rheumatologic drug products. Dr. Meyer was involved in several CDER initiatives, amongst them chairing the development of the Pre-Market Risk Assessment guidance. Additionally, he participated with the FDA negotiation team for PDUFA III and IV. While at FDA and again at UVa, Dr. Meyer is as a technical expert to the Medical Aerosols Technical Options Committee to the Montreal Protocol on the Protection of the Ozone Layer, work for which he was recognized by both United Nations Environmental Programme and the US EPA. He also served on the third expert panel for the National Heart, Lung and Blood Institute’s National Asthma Education and Prevention Program (NAEPP EPR3). Prior to joining FDA, Dr. Meyer was an academic pulmonologist and critical care specialist at the Oregon Health [and] Sciences University, where he helped create the medical service for the Lung/Heart-Lung Transplantation team.